The police on Friday arraigned a conman, Nna Peter, who allegedly hynotised a business woman and stole N540, 000, in a Karmo Grade I Area Court, Abuja. Police charged Peter, who resides in Jabi , Abuja with two counts of joint act and cheating. The Police Counsel, Ijeoma Ukagha told the court that Ms Grace Joseph of Utako village, reported the matter at the Utako Police Station on March 25. Ukagha informed the court that sometime in August 2018 the complainant boarded a taxi from Utako to Banex in Wuse II. While in the cab, the defendant told her that he had some Brazilian hair weave-ons, Golden necklace and earrings for sale. Ukagha alleged that the defendant also told the complainant that he needed some money to “wash” and print out mint Naira notes. ”The complainant told police that the defendant hypnotised her into giving him N540, 000 to but the chemical that would be used to wash the money. ”After collecting the money, the defendant ran to an unknown destination and converted the N540, 000 to his personal use,” she alleged. The offence, she said, contravened the provisions of sections 79 and 322 of the Penal Code. 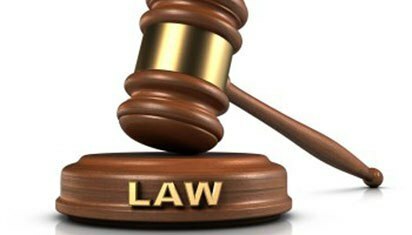 The Judge, Alhaji Inuwa Maiwada, admitted the defendant to bail in the sum of N600, 000 with one surety in like sum. Maiwada ordered that the surety must be a GL 09 officer in the civil service and must reside within the jurisdiction of the court. Maiwada adjourned hearing in the case until May 6.